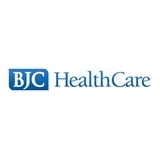 BJC Medical Group at Progress West (O'Fallon) - Book Appointment Online! With offices in St. Charles and St. Louis counties, we strive to provide outstanding patient-focused care in a timely, courteous and professional manner. It is our goal to help improve your digestive health. Our physicians are committed to ongoing education and will make every effort to provide you with the most up-to-date, knowledge-driven, and thorough care possible. BJC Medical Group at Progress West is a proud member of BJC Medical Group. Extremely personable. Makes you feel really comfortable. I am a new patient, so I had to register and fill out paper work. AWESOME, professional, competent, and mannerable from the check in, to the Medical assistant, to the doctor himself. I thought Dr. Miller was very professional, courteous and knowledgeable. He explained everything he was doing, listened to my concerns and discussed options that I had to resolve my issues. I would recommend him to anyone looking for a new OB/GYN.